One of the most highly-anticipated shows coming to the small screen this year is HBO's Westworld, based on the 1973 film of the same name which marked the directorial debut of author/filmmaker Michael Crichton. 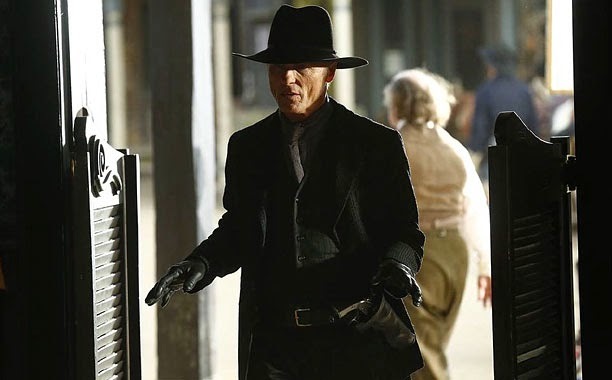 Following the first two photos from the series released last month, Entertainment Weekly has yet another new photo that showcases a different look at Ed Harris as the robotic Gunslinger, originally played by Yul Brynner in the Westworld movie. Both written and directed by Crichton, the original Westworld takes place in a future amusement park wherein visitors interact with androids in recreations of famous historical environments. When something goes wrong, however, the androids turn deadly. The pair confirm that the series will also show off the world outside of the theme park and that the central theme of the series will be about mankind’s uneasy relationship with artificial intelligence.